The close proximity to Gauteng means you can take off from the big smoke and be relaxing with a cold beer taking in the sounds and smells of the bush just a couple of hours later! Lions only found on one section of the reserve – the plus side of this is that this opens the other “non-lion” section up to all those fun activities that Mabula boasts which just wouldn’t be possible with these toothy predators lurking! If you’re a bush purist who likes staying at small traditional game lodges then to be honest Mabula is not the place for you. 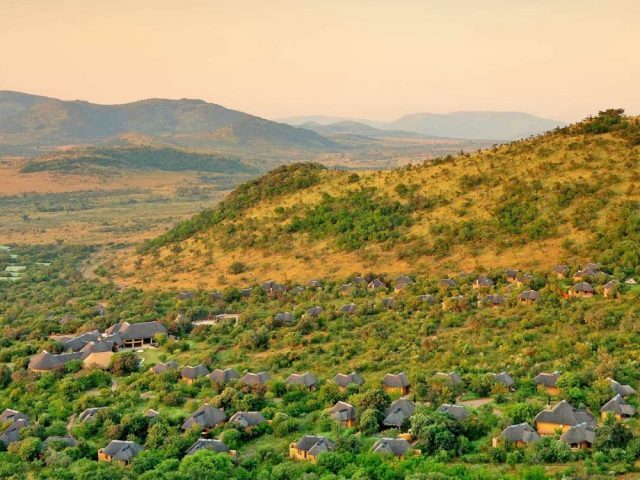 However, if what you fancy is a quick trip away for the weekend to relax at a resort-style hotel with plenty of facilities to keep you and the kids happy and with game drives thrown in for good measure, then Mabula could be just the place that ticks your particular boxes. Located just 2 hours north of Jo’burg, you can be settling down with a cold beer around the pool whilst your unlucky work colleagues are still dashing off their last email of the week. The 53 rooms at Mabula can be best described as “bush hotel” in style: the mod-cons like flat-screen TV and hairdryer would be right at home in a city hotel, but the tiled floors, stone walls, thatched roofs and the soft bushveld colour palette used throughout bring that distinct bush influence into your room too. Obviously it doesn’t have that really authentic game lodge feel but frankly that’s not what Mabula is all about. 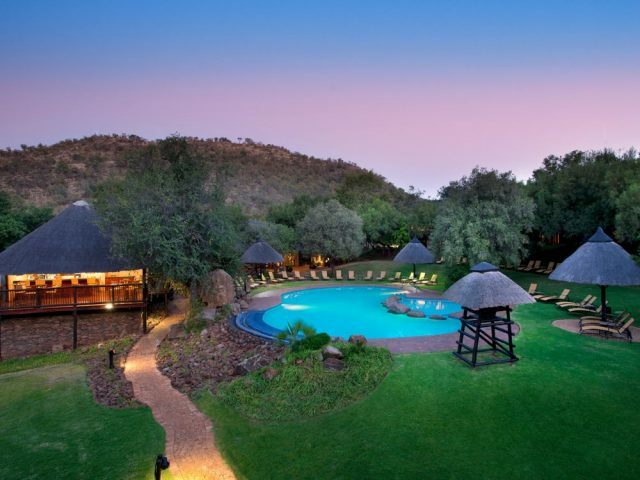 Whilst Mabula hosts a huge amount of couples wanting a romantic break, it’s perfectly suited for a family holiday where you can introduce the kids to the delights of the African bushveld and its wildlife. While all the rooms are equipped with sleeper couches that can quite easily take care of two children under 12, Mabula also offers family groups the option of inter-leading rooms. Each of these has all the fittings of the usual Mabula rooms, as well as 2 three-quarter beds suitable for the young ones. 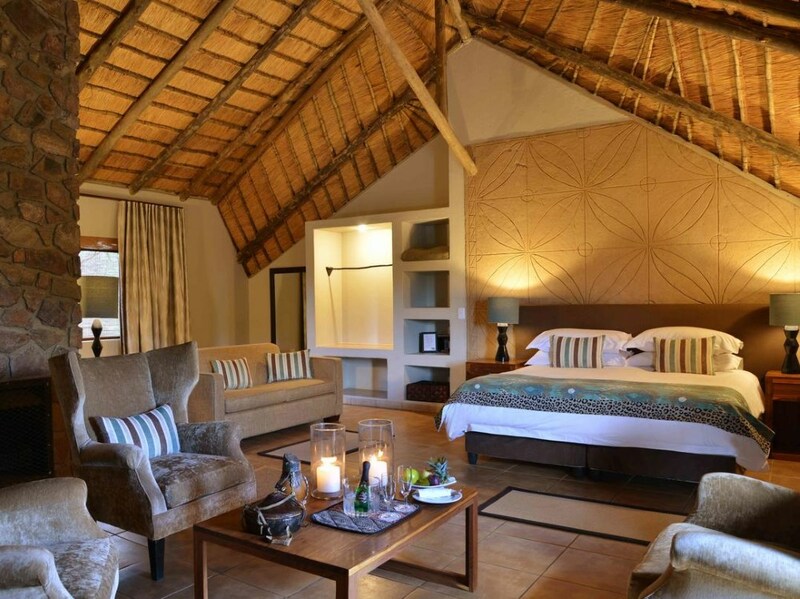 We all know that kids have the startling ability to become bored even in the most amazing game lodge, and so the separate room (and its TV, of course) can make for a nice break for when Mom and Dad want a little time to away from the seemingly endless responsibility of being on parent duty! There’s also a kid’s play room and an organised kid’s programme to keep the little ones entertained. And if you’re a larger family group, there’s always the Mabula Villa. 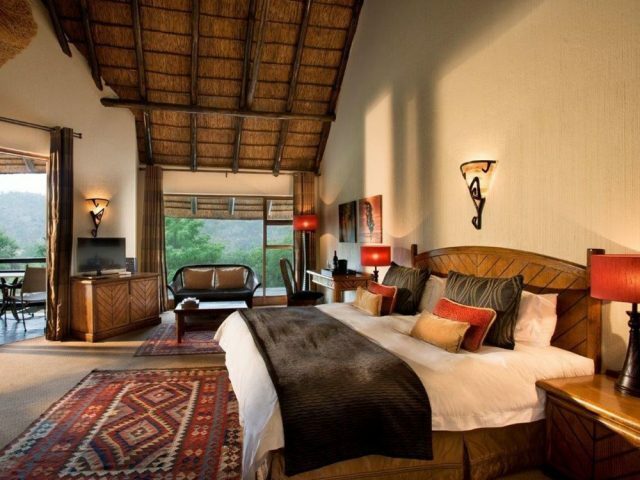 This is much, much larger than the entry-level rooms (the villa can accommodate up to 10 people at a time), and it comes with six en-suite bedrooms, each leading directly onto an outside deck overlooking the beautiful African bushveld. The Villa also has its own personal chef, butler, housekeeper and villa manager, and you get your very own professional guide (and vehicle) so that you can roam the African wilderness in search of the Big Five at your own leisure. 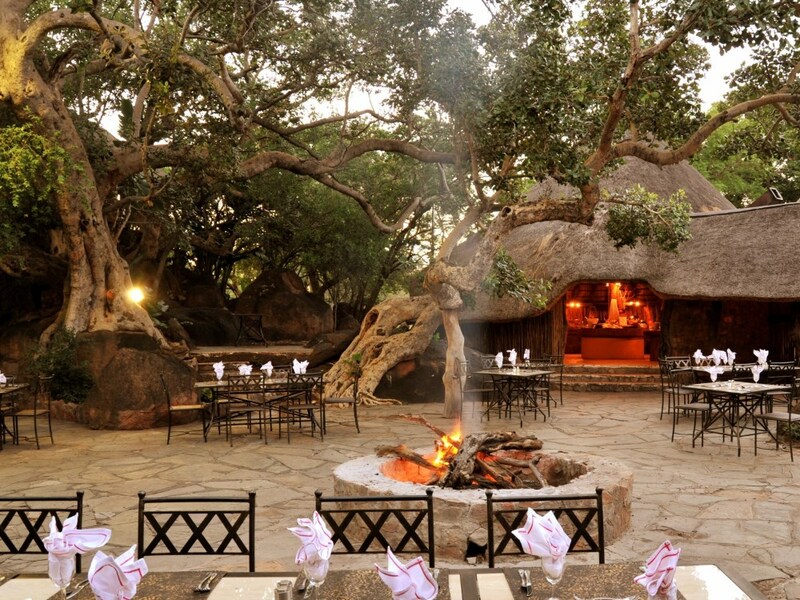 As a larger bush resort style property, Mabula offers a range of different dining options, from the main Ko Bojelong restaurant to the traditional boma or even bush dinners. And if you’re looking for a private function for a corporate group or wedding for instance, Mabula has a range of attractive and imaginative options available. Interestingly, one unique feature is that Mabula boasts a specialist Indian chef on-site so if you’re a curry fan you could be enjoying some probably unexpected delights! Of course, if you’re into the calmer side of things (the one with a lower heartrate and number of bruises), you’re also well cared for: you can go for bird-watching walks with a guide, or take your meals into the bush on a magical breakfast picnic or afternoon ‘braai’ – and if the thought of seeing lions hunting at night doesn’t move you, then why not take the star-gazing tour and learn about the magnificent South African night sky and all the myths and legends it has inspired? And if you don’t even feel like doing anything at all, there’s always the poolside bar to ease you deeper into your comfort zone, one exotic cocktail at a time (if fruity sweet pink drinks aren’t your thing, Mabula has a Whisky Bar). And with all that hard work you’ve been doing, why not take a Swedish or Bamboo massage in the Spa? We think you’ve earned it! Complimentary when sharing with full paying adults.